MATCHING NUMBERS IS OVER RATEd OVER PRICED AND UNDER POWERED WHEN YOU COMPARE IT TO THIS REAL SS 498/500HP REAL SS 4-SPEED STREET BEAST. This SS muscle machine is ready to rumble with a brand new 454 bored .060 over to a 498 and bad to the bone. The engine is estimated at 450 to 500 hp and is sounds and runs amazing. It has oversized flat top pistons. Rebuilt heads, guides, Stainless Steel oversized valves. 218 Intake 1.94 exhaust. Brand new flomaster exhaust. Solid lifter Cam. 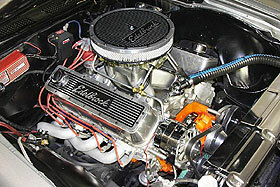 Holley Dominator hp4500 carb wiht 75cfm. The car comes with all of the SS options including, boxed control arms, a 12 bolt posi rear, ss emblems and SS dash. The Metal structure on the car is very solid and intact. The Paint is in great shape other than a few minor nicks on the edge of the doors. 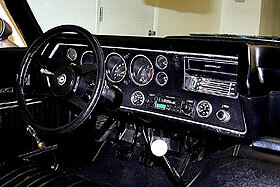 The car comes with nice black bucket interior and console and looks great. 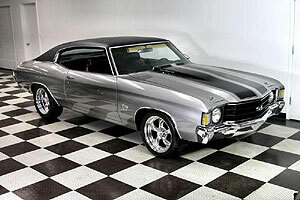 The 4-SPEED shifts trough the gears with pure horsepower and burning rubber.